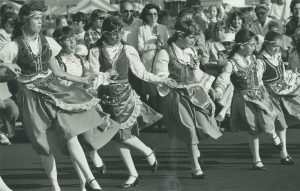 Greek immigrants began arriving in Milwaukee in the final decade of the nineteenth century, with the 1900 United States Census registering the first Greek-born Milwaukeeans. Arriving to a large extent from the Peloponnesus peninsula in the southwest of Greece, they left for America for a number of economic reasons, including poor soil and crop failures, along with a rigid Greek economic class structure that left little room for advancement. Those who arrived in Milwaukee tended to be of the Greek Orthodox religion, which was recognized and supported by the Greek government and had played an important role in maintaining the Greek language and cultures prior to independence from the Ottoman Empire in 1830. In the early twentieth century, several Greek communities developed within Milwaukee. One was located slightly east of the Milwaukee River and just north of downtown. The second was much larger, located between Wells and Vliet Streets on the south and north, and 3rd and 8th Streets on the east and west. A third was located near Sixth and National on the South Side. The early immigrants were overwhelmingly men who intended to make enough money to return to Greece or to send home for the support of family. Despite these intentions, few ever went back to their original country and instead they developed community institutions in Milwaukee. 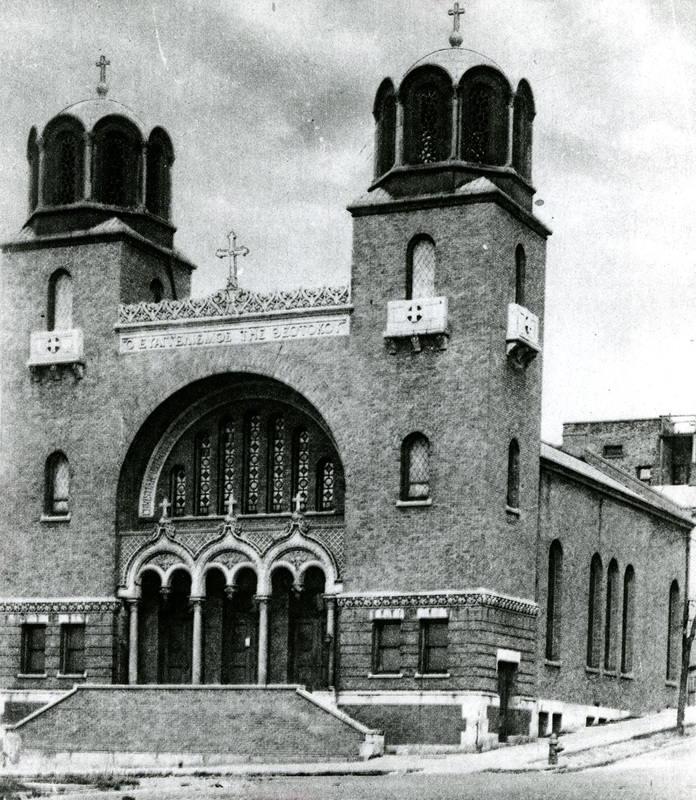 The Church of the Annunciation, now known as Annunciation Greek Orthodox Church, was founded by Greek laymen in 1906 on 3rd Street. In 1914 it moved to a more permanent structure at the corner of Broadway and Knapp, where it stayed until the mid-twentieth century. When it was founded in, 85 percent of its congregants were men. Another pillar of Greek cultural life, the coffeehouse, became a place for men to congregate after work to discuss heatedly the latest political developments, sip coffee, and socialize. A half dozen of these coffeehouses were located in the vicinity of Wells Street between 4th and 7th Streets. Greeks in early twentieth century Milwaukee were similar to those in other parts of the United States in that they gravitated to industrial employment. They were concentrated in unskilled labor along with other eastern and southern European immigrants. The city’s iron and steel mills provided ample work opportunities, but Greek employment in this period was highest in Milwaukee’s tanneries. A smaller number of Greek immigrants were able to open their own businesses in Milwaukee’s service economy. By 1920, Greeks were listed as owners of 130 confectionaries, restaurants, coffeehouses, small grocery stores, and barbershops. That same year, forty Greeks owned shoe-shining enterprises; some of these practiced as street vendors. However, social and technological changes drove many of these early Greek proprietorships out of business. Increased use of the automobile and changes in the construction of leather shoes forced many shoe shiners out of business, and the development of the broad-service drug store pushed many of the small grocery shops and confectionaries to close. Greek men had shown the ability to develop community institutions that helped to ease the transition to life in Milwaukee while still maintaining a distinctively Greek flair. However, it was not long before they began to assimilate into the city’s cultures. Greek men who desired a Greek wife had to either return home to find a match or show themselves as financially worthy of being married to the daughter of one of the small number of families who immigrated from Greece. Another option was to marry outside of the Greek ethnicity. For the first generation of Greek-Americans, this option became an increasing reality. The second generation children also faced an increasingly nativist public school system, and many parents sent their children to Greek-language and culture-schools in the evening. Nevertheless, over time traditional Greek marriage patterns and cultural exclusivity declined. In 1922 political factional disputes between liberals and monarchists within the Church of Greece led to a split in the Annunciation Greek Orthodox Church congregation. Members who supported the monarchist position broke away from Annunciation and formed Saints Constantine and Helen. In later years, assimilation of later generations of Milwaukeeans of Greek ancestry proceeded. Religion remains an important component of Greek life in the Milwaukee metropolitan area. Small numbers of immigrants also arrived after World War II and also helped maintain community identity. In 1961, Annunciation moved to its current location on Congress Avenue on Milwaukee’s far west side. The new church was designed by Frank Lloyd Wright and stands today as one of his last commissions and final designed works. In 1974, Saints Constantine and Helen moved to its current location on Wauwatosa Avenue in Wauwatosa. Annunciation also hosts the annual Greek Festival each summer as an opportunity for members of the Orthodox churches and the metropolitan area’s public to socialize and enjoy Greek culture and food. Greek Festival is volunteer-run and the proceeds go to support Annunciation’s outreach efforts and other charity endeavors. Some 5,000 to 8,000 Milwaukeeans in the metro area report Greek ancestry in the census in the early 21st century. ^ U.S. Bureau of the Census, Birthplace—Greece, 1840-1900, tabulated at http://www.ipums.org. ^ Frank G. Paras, “The Assimilation of the Greek Population in Milwaukee” (master’s thesis, Marquette University, 1945), 13; Theodore Salutos, “The Greeks of Milwaukee,” in Wisconsin Magazine of History 53 (Spring 1970): 175-176. ^ Salutos, “The Greeks of Milwaukee,” 175; United States Department of State, “Greece: People,” United States Department of State, last accessed February 8, 2012. ^ Paras, “The Assimilation of the Greek Population in Milwaukee,” 55; Salutos, “The Greeks of Milwaukee,” 180. ^ Salutos, “The Greeks of Milwaukee,” 182-185. ^ Paras, “The Assimilation of the Greek Population in Milwaukee,” 20; Salutos, “The Greeks of Milwaukee,” 175-177. ^ Salutos, “The Greeks of Milwaukee,” 178-180. ^ Paras, “The Assimilation of the Greek Population in Milwaukee,” 35-38, 56-57; Salutos, “The Greeks of Milwaukee,” 187-188. ^ Paras, “The Assimilation of the Greek Population in Milwaukee,” 59; Salutos, “The Greeks of Milwaukee,” 188-190. ^ Charles C. Moskos, Greek Americans: Struggle and Success, 2nd ed. (New Brunswick, NJ: Transaction Publishers, 1989), 54-75; Salutos, “The Greeks of Milwaukee,” 185. ^ Salutos, “The Greeks of Milwaukee,” 193; “Our Parish,” The Annunciation Greek Orthodox Church website, http://www.annunciationwi.org/our_parish.php, last accessed February 8, 2012, now available at http://www.annunciationwi.org/our-parish/, last accessed July 24, 2017. ^ “Anniversary,” Saints Constantine and Helen Greek Orthodox Church website, last accessed February 8, 2012. ^ Annysa Johnson, “Greek Fest Moves to State Fair Park,” The Milwaukee Journal Sentinel, June 1, 2006. ^ Tabulated from the American Community Survey, Steven Ruggles, Katie Genadek, Ronald Goeken, Josiah Grover, and Matthew Sobek. Integrated Public Use Microdata Series: Version 6.0 [Machine-readable database]. Minneapolis: University of Minnesota, 2015. Paras, Frank G. “The Assimilation of the Greek Population in Milwaukee.” Master’s thesis, Marquette University, 1945. Salutos, Theodore. “The Greeks of Milwaukee.” Wisconsin Magazine of History 53 (Spring 1970): 175-193.